Aladdin is known as a street rat. He steals to survive and lives on the streets. However, he has a heart of gold when it comes to people and those he cares about. When he meets Jasmine, the princess, he wishes that he could date her, but being a street rat, he is forbidden to see her. Enter the Genie of the lamp. With 3 wishes, Aladdin embarks on a journey to earn the love and trust of the one he loves, save the kingdom, and hopefully set the genie free. 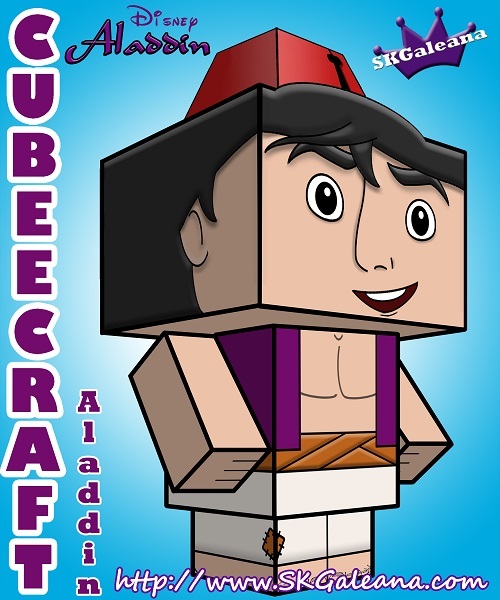 This printable papercraft is free to download, print and create. It cannot, however, be sold for money, be used commercially or used for anything that may violate the copyright.